Su-gong Wu (S. K. Wu), a renowned botanist, professor of Kunming Institute of Botany, Chinese Academy of Sciences, had made great contributions to China’s botanical research and plant collections. Professor Su-gong Wu, who died at his 78 years at 12:05 of March 9, 2013 at the First People’s Hospital of Yunnan Province, was born at July 13, 1935 in Taigu County, Shanxi Province, North China. he first worked in the Institute of Botany, Chinese Academy of Sciences from 1955 to 1961, and then moved to Kunming joined the staff of Kunming Institute of Botany, Chinese Academy of Sciences. 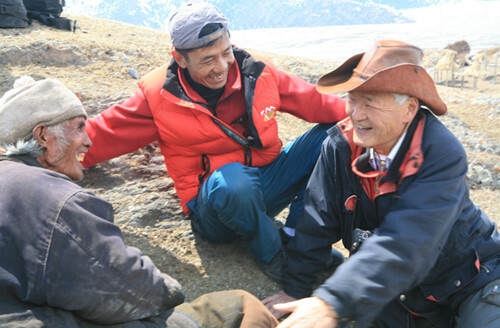 Prof. Wu was once elected to the executive director of the China Society on Tibet Plateau; and China Association for Scientific Expedition; a member of the Botanical Society of China, Natural Resources Research Society of China and Botanical Society of Yunnan. 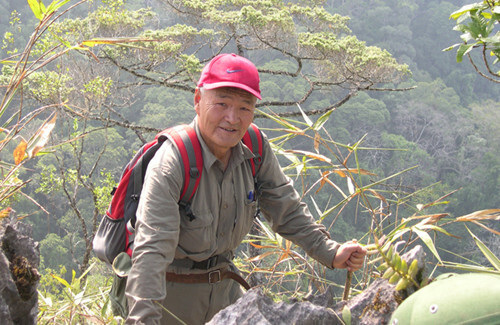 Prof. Wu was given a nickname of “plant hunter” for once and again he participated in or led a series of comprehensive scientific expeditions since 1956, made an outstanding contribution to the research of plant taxonomy and investigation. These scientific expeditions were as follows: 1990, the Comprehensive Scientific Expedition to Hoh Xil in Qinghai Province, China (as the team leader); 1987-1992, the Comprehensive Scientific Expedition to Karakorum-Kunlun Mountains, (as a vice team leader); 1981-1986, the Scientific Expedition to Hengduan Mountains; 1973-1980, the Comprehensive Scientific Expedition to the Qinghai-Xizang Plateau; 1960, the Expedition to the Project of South-to-North Water Diversion; 1956-1959, as well as Biological Resources Expedition of Yunnan Province for many times. During these expeditions in all his life, Prof. Wu undergone many hardships and dangers, and filled many gaps of the field botanical investigations in China, especially in the Himalayas and the Qinghai-Tibetan Plateau. He collected a huge number (more than 100,000) of plant specimen and described two genera of ferns, more than 300 new species and numbers of newly-recorded taxa, which are of high worth and values for scientific research. During his life, Prof. Wu contributed a lot to the research on the pteridophyte taxonomy and phytogeography. He was one of the editors or writers of “Flora of China”, “Flora of Yunnanica”, “Flora of Xizangica” and “Vascular Plants of the Hengduan Mountains”, and he published more than 62 research articles and four monographs. 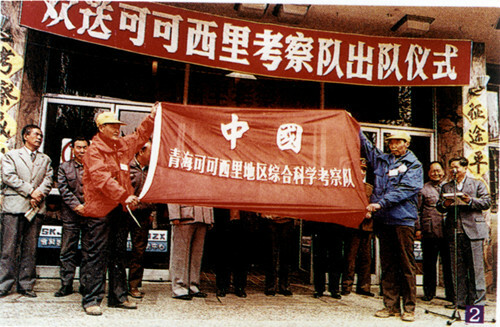 Meanwhile Prof Wu’s was awarded several prizes and honors as follows: 1983, the first session of Chu Kochen Honors Award for field work; 1987, first-class prize of National Natural Science Award of China, and Special Award of Natural Science Award of Chinese Academy of Sciences; 1999, second-class prize of Natural Science Award of Chinese Academy of Sciences; 2003, first-class prize of Natural Science Award of Yunnan Province; 1998 and so forth. Prof. Wu always had great passion to his motherland and had dedicated all his life to botanical studies and biodiversity conservation. Even after retiring, he kept working until his unfortunate passing away. During the past ten years, he organised several botanical expeditions to Vietnam, Laos and Cambodia with a hope to complete a pteridophyte flora of these three countries. It is a huge misfortune that he passed away when his wishes will be realized before long. Prof. Wu will be deeply missed by colleagues, friends and family. The prominent contributions he had made to China's botanical research will be immortal and will always be cherished.